Immune system agents which are best known for removing cancer cells could play a key role in asthma, according to new research. The Imperial College London study gives hope for new drugs to treat the condition, claim scientists. The agents, natural killer (NK) cells, are also renowned for destroying cells infected by viruses. But latest research indicates they might be partially held responsible for inflammation in the airways in asthma. Asthma affects about 300 million people globally. But the condition need not be an obstacle to foreign travel. 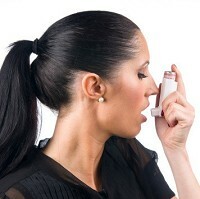 Sufferers can get peace of mind with affordable asthma travel insurance. Most sufferers can treat the illness with medicine, but about 5% of people cannot manage their condition with the current drugs available. Researchers analysed mice that were lacking a protein that turns on the killer cells. They discovered these animals don't suffer from asthma-like allergic reactions. If the results apply to humans, it could mean drugs designed to curb the activity of NK cells could play a part in asthma treatment. Asthma attacks happen when allergens such as house dust mites are recognised by immune cells. These release chemical signals inviting other kinds of immune cells and causing airway inflammation. Researchers do not completely know which cells are involved in the reaction and which molecules control this procedure. Total understanding could help develop improved asthma treatments. The study was undertaken by Nazanin Farhadi and headed by Dr Fiona Culley at the MRC-Asthma UK Centre in Allergic Mechanisms of Asthma and the Centre for Respiratory Infection at Imperial. Medical Research Council, Asthma UK and the Wellcome Trust funded the research. Dr Culley said: "NKs are thought to be important for killing cancer cells and virus-infected cells. Our study suggests that they're key players in asthma as well, which is unexpected." The expert plans further research, adding: "If more studies confirm that natural killer cells are important in asthma in humans, they could be a new target for drugs."